We are coming up on the holiday season and I don't know about you but for me it is always challenging to keep abreast of the latest trends and great holiday gift ideas. The following is a list of products I know I would love for a holiday gift. 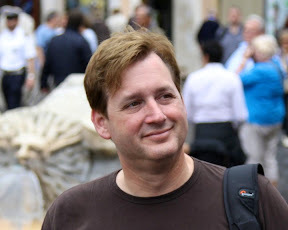 As usual, my stuff leans toward the techie or young at heart variety but I hope you can find something here to meet your precipitants wish list! Like previous years, let's start with the youngest (age or maturity) on your list. 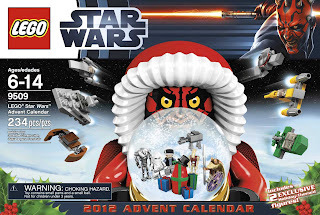 So how about getting ourselves into the holiday spirit with an advent calendar...and not just any calendar but the Star Wars Lego (roughly $40) which is a tradition at our household! Please ignore the upper end of the age range mentioned on the front of the box...this one is great for anyone into the Star Wars universe. Highly recommend! And while we are in the Lego frontier...I do need to mention another perfect union. Legos and Minecraft. If you have anyone in your life that is carving up their own virtual landscape...they will really enjoy this non-interactive alternative. Here is your chance to get their nose out of the computer for a bit. 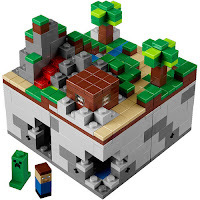 Check out the Lego Minecraft 21102. These are a bit hard to find at retail ($35) but I have run across sets at your usual ToysRUs stores and there are resellers online offering the set with a pretty decent mark-up...over $60 currently! 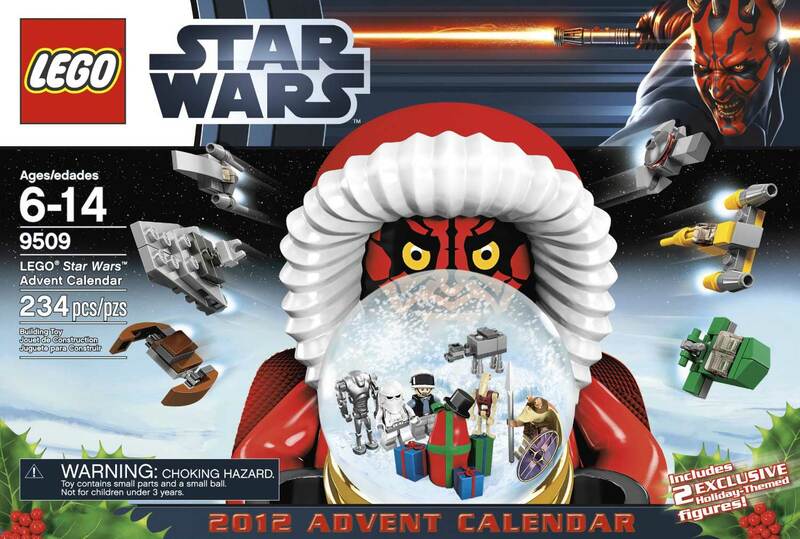 I will keep my eye out for this sets availability online but Lego execs let me know they are not holding their breath for much availability during the holidays! 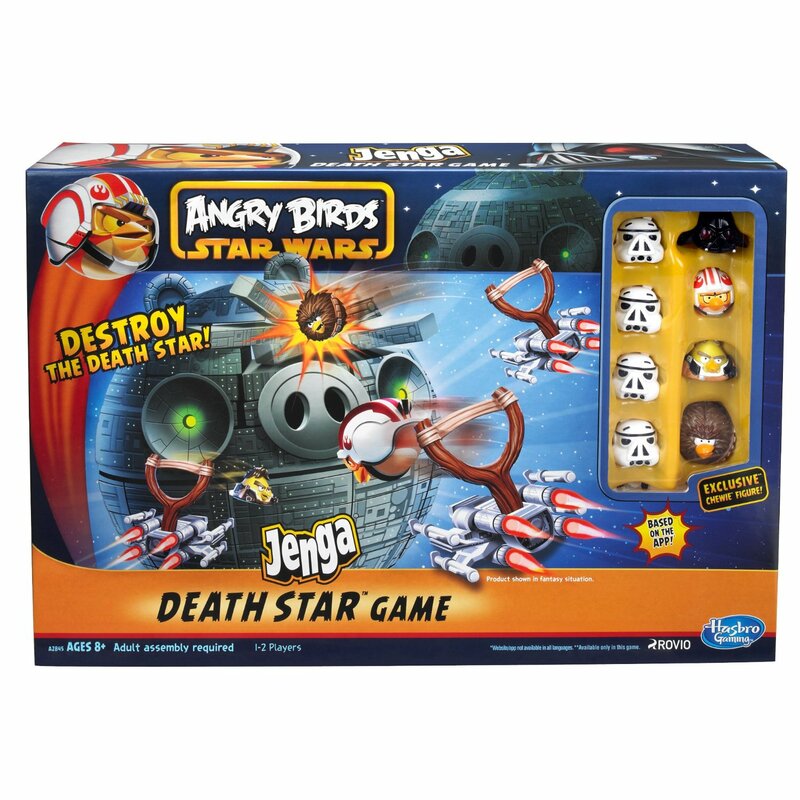 How could I make one of these lists without an Angry Bird "thing" and this year the combination of Angry Birds and Star Wars seems to be a hot marriage...and through in a Jenga gameplay? 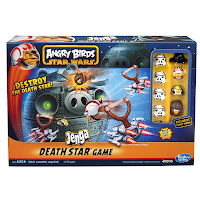 So be sure to check out the Angry Birds Star Wars Fighter Pods Jenga Game ($25). Or the AT AT Attack version ($39). 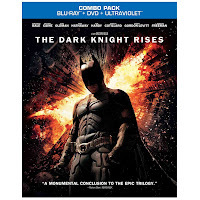 The culmination of one of the finest reboots in movie storytelling, The Dark Knight Rises ($25 for both Blu-Ray and DVD). Christopher Nolan's darker and more brooding take on the story which began with Batman Begins staring Christian Bale. Follow-up with the haunting performance by Heath Ledger as the Joker in The Dark Knight. 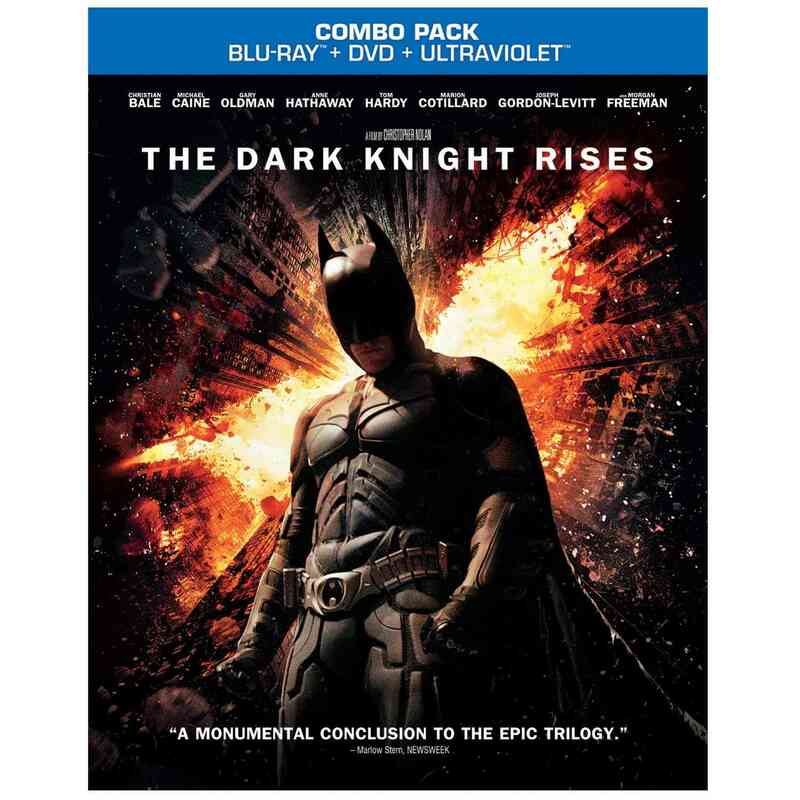 If your gift receiptent hasn't seen the trilogy in its entirety...you can get all three in The Dark Knight Trilogy on Blu-Ray for $30. Speaking of reboots...there was also The Amazing Spider-Man ($20 Blu-Ray/DVD) but at the end of the day it really didn't introduce anything new versus the Sam Raimi trilogy. BUT if you didn't see that trilogy...then this is a great place to get into the "amazing" Spider-Man universe. And how could this holiday list miss the monumental blockbuster...Marvel's - The Avengers ($25 for both Blu-Ray and DVD)! With its group of decidedly super humans, mutants, and demigods. 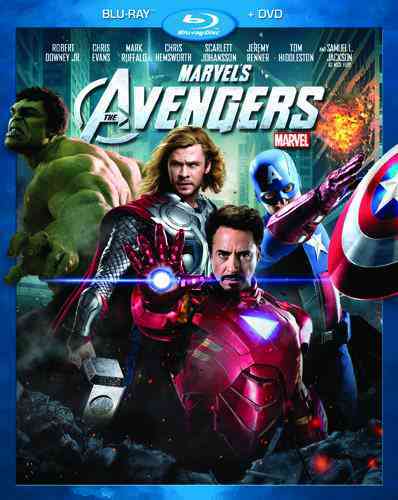 This is the melting pot of the Marvel Comics universe that is the culmination of a series of stand-alone movies including the first two Iron Man's, Thor, The Hulk, and Captain America. And not only is The Avengers full of powerful action scenes where everything gets destroyed but its also about the powerfully acted times when the heroes interact with one another. A "must see", a great gift and no you don't have to be a comic book fan to enjoy this movie! 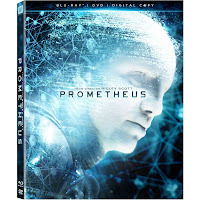 Prometheus ($25 for Blu-Ray and DVD) by Ridley Scott of Aliens fame takes us on another Sci-Fi journey to a completely alien world and this roller-coaster of a story will keep you on edge throughout. While some people might find the classic Ridley style of breathtaking panoramas mixed within the movie a bit slow...others will be blown away with the scope of the vision. 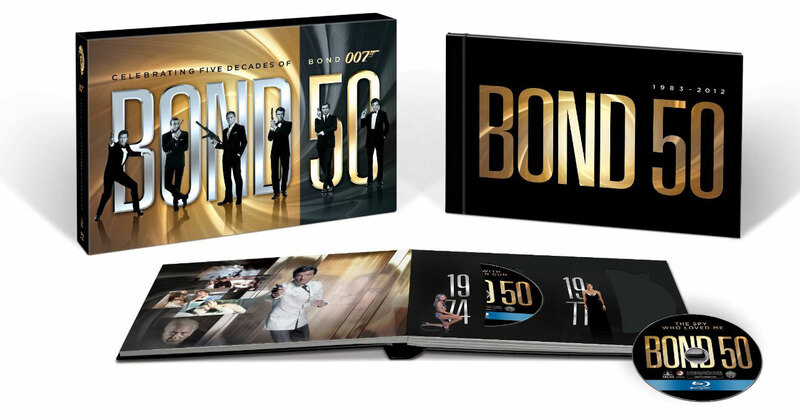 And for those on your gift list that have a bit of flair and are "calm, cool and collected"...then you should be getting them the Bond 50: The Complete 22 Film Collection on Blu-Ray ($225). 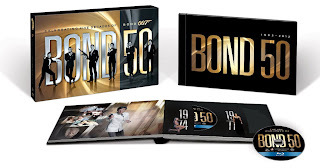 This set features all six Bond's including Sean Connery, George Lazenby, Roger Moore, Timothy Dalton, Pierce Brosnan, and Daniel Craig. For those that love the intrique and adventure that Bond brings to each movie...this is a must have. 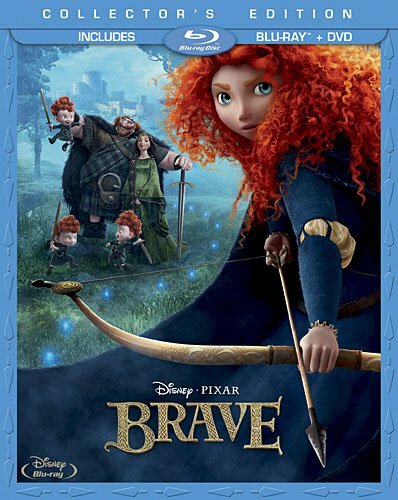 And no holiday video list would be complete without a Disney pictures and this year the must see movie is Pixar's Brave ($28). The story of an impulsive young woman with impressive archery skills and a no-nonsense attitude, Merida throws her realm into chaos when she disregards the customary procedure for finding a suitor and then disappears into the forest in defiance of her mother's unbending ways. This is arguably one of the most beautifully rendered movie Pixar has produced and the lead character is quite endearing. While this next topic probably warrants its own piece, I am going to take a quick stab here on the Best Kids Tablet options! Before I leap (no pun intended) into the iPad, Kindle Fire, etc. discussion and how these are really viable options for most kids (if the price point is something you can deal with) but first I do have to give the tablets truly designed for kids a shot. And the two most popular are LeapFrog's LeapPad 2 and the VTech InnoTab 2. I can really see this turning into a "LeapPad 2 VS InnoTab 2" competition! Both offer a pretty beefy platform that is truly designed for young-ones and a good library of edutainment titles. 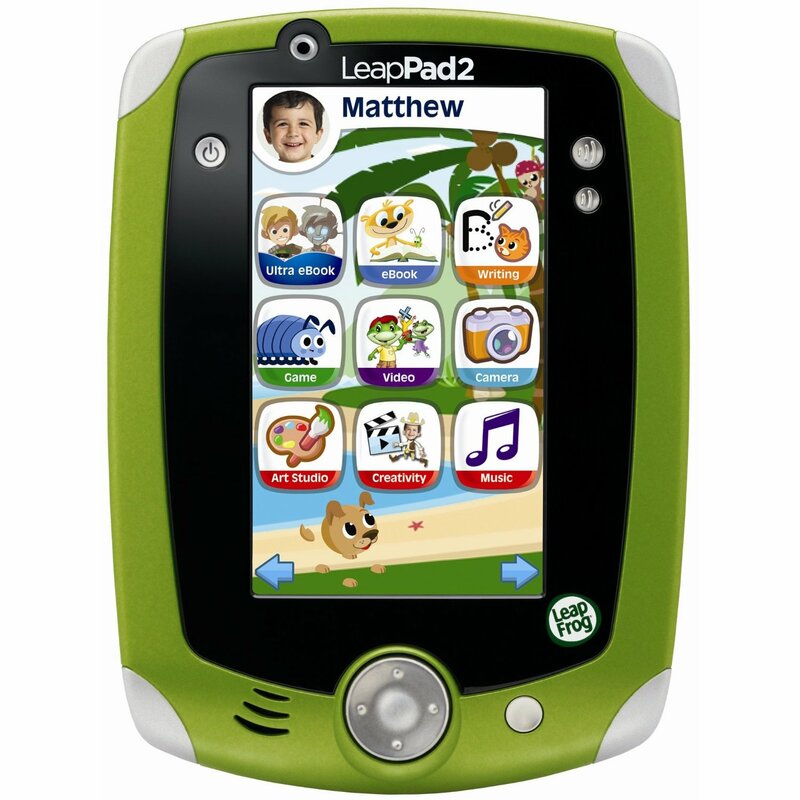 At the end of the day after playing with both LeapPad 2 and InnoTab 2 systems for a bit of time, I walked away feeling that the LeapFrog LeapPad 2 was the superior system. It is noticeably quicker, has a substantial amount of on-board storage (4 gigabytes), is compatible with over 325 games and downloadable apps. I do wish that LeapFrog had offered an SD memory card option like VTech did but the faster processor in the LeapPad 2 won me over. 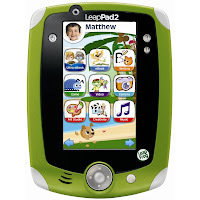 This is a very sturdy device for children 3-9 years of age and you can get the LeapFrog LeapPad 2 for under $100. This is a great edutainment device for you kids. Videogaming console manufacturers and consumers will have a difficult holiday season. Sure there will be some great games to buy for your existing systems but this holiday season I really won't recommend purchasing a new gaming device...except maybe a Nintendo Wii U (more on that in a bit). Both the XBox 360 and PS3 are long in the tooth and due an upgrade and the newer Playstation Vita portable game system has been a huge letdown. Nintendo looks to be the only one with any energy this holiday season. 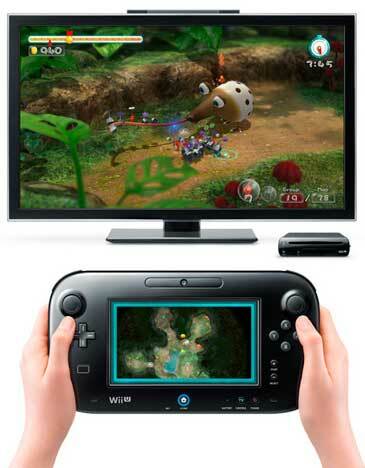 The Wii is getting a substantial upgrade this year with the launch of the Nintendo Wii U. 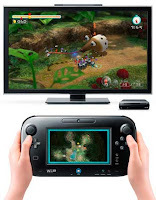 This new gaming console features an all-new tablet-like controller called the GamePad and has a host of new capabilities but the launch titles are not necessarily knocking my socks off. The initial pre-orders online have already sold out but I'm sure their will be glimmers of opportunities to pick one up if you want to frantically hunt around both online or get in line for the launch morning of November 18th. 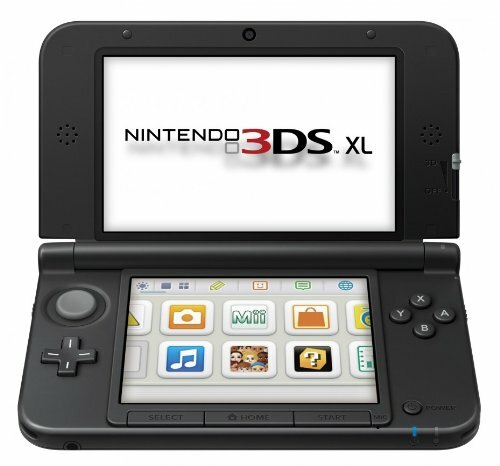 And Nintendo's 3DS has a new extra large variant imaginatively called the Nintendo 3DS XL ($220'ish). I'd say there are some nice little tweaks under the hood also that makes this a very nice portable gaming system, if you are not already absorbed with all the 99c apps on your mobile device or tablet. 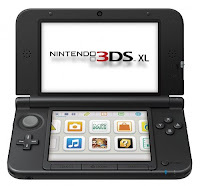 Nintendo has delivered a great portable gaming system here and a wonderfully rich library of 1st and 3rd party games. Sure it is another device to haul around but for some serious gaming...this platform is great. While talking about portable entertainment devices...I do need to cover the other solutions that make a great gift including the latest version of the iPod Touch. This season's version feature more power, a beautiful 4" display, nice camera and for someone without a smartphone already...a great solution for consumer mobile media and games! 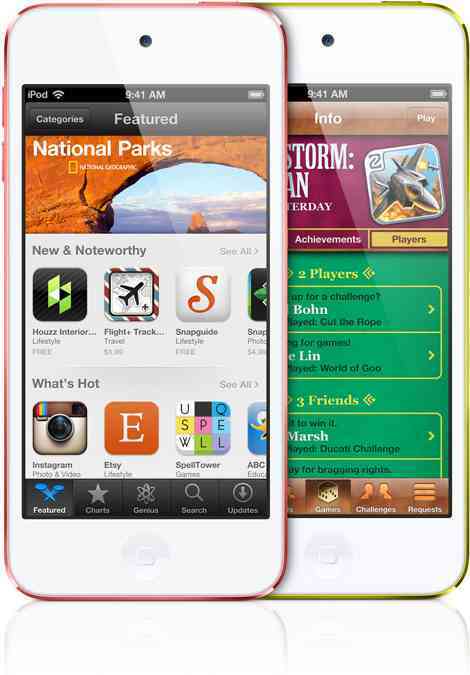 The new version supports all the latest iOS 6 features including Siri, Facebook and Twitter integration. 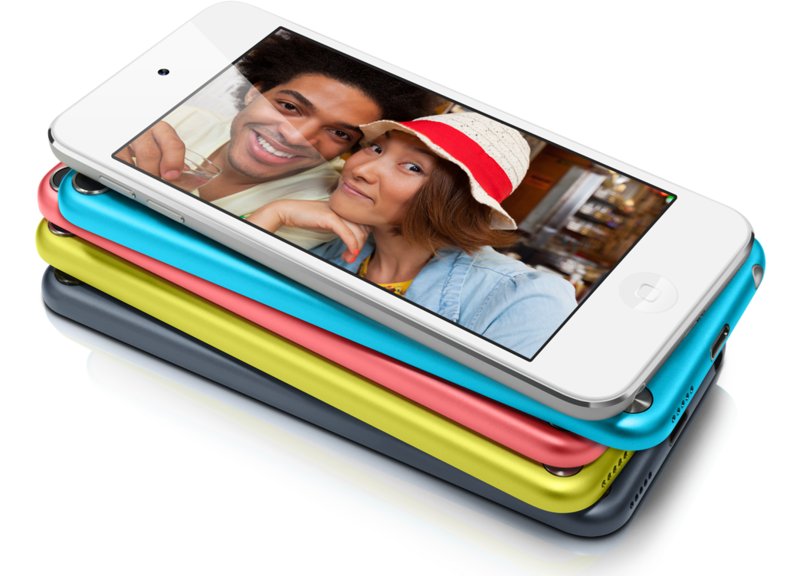 The Apple iPod Touch is available in 5 funky colors and two memory configurations: 32 gigabyte for $299 and 64 gigabyte for $399. Just a couple weeks ago Apple introduced a new and exciting category within their iPad line-up. 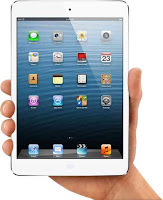 You'd have to have been living under a rock to not have heard about the new iPad Mini. I am excited about this product for Apple and the consumers this product addresses. I don't know if you remember but Steve Jobs famously said that they found the 9.6" display in the iPad as the perfect form-factor to partner between a smartphone side devices and laptop computers. So why did Apple add this product to the mix? Well, there are two reasons as I see it... 1) Price! They needed a device to compete with less expensive/smaller display 7" variants namely Amazon's moderately successful Kindle Fire and Fire HD tablets as well as the geeky Android products like the Samsung offerings and Google Nexus 7. 2) The single-handed category of consumers that are choosing even smaller, simpler devices to read ebooks and the like. 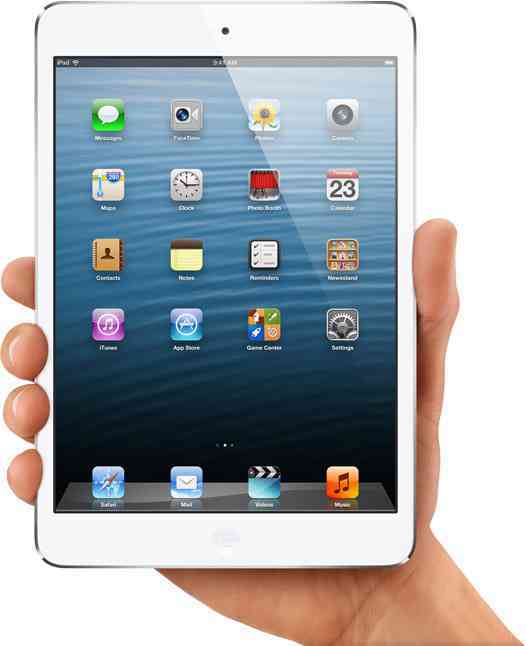 All that said, I really like the new, sleek iPad Mini ($329+). Tech pundits will point out the lower resolution of the display (still equal to most peoples 20" monitors on their desk!) versus other competitive offerings in the category but Apple did that to maintain software compatibility with the HUGE library (over 275,000 tablet specific) apps. I can't express just slim, light and comfortable to carry this device is. You also have a slew of configuration offerings starting at $329 for the 16 gigabyte version. 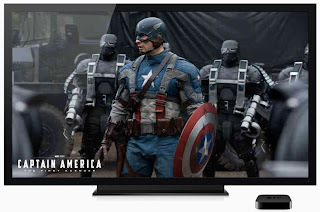 I would recommend spending the extra $100 for the 32gb version to accomodate movies, TV shows, apps and the like. 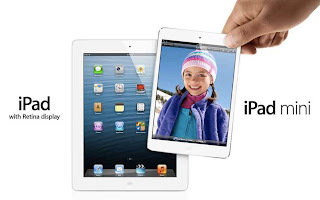 And yes, the new 4th generation iPad with Retina display is still a wonderful gift! I figured I don't need to cover that if you are comfortable ponying up the $599 for this great product minimum. Don't get the 16gb version! And I would highly recommend getting the 4G version...it makes for a wonderful portable connected experience. Okay, while I am ranting about the Apple stuff...I would still recommend the $99 AppleTV solution. This is a small puck-sized computing device that links to your TV and the home network and provides a host of high-definition, streaming content. You can leverage all your iTunes media if you have songs or videos on your computer or iOS device. You also can access content from Netflix, Hulu Plus, YouTube and live sporting events. If you are not into the Apple eco-system of iTunes, iOS devices, etc. I would also recommend the Roku 2 XS ($98) which adds support for other services including Amazon Prime instead of the iTunes marketplace. 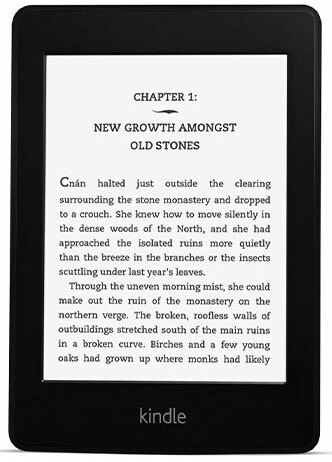 After reading about all those fancy media consuming devices...are looking for a simpler and more to the point eReader solution. If your focus is on digital ebooks and periodicals and all these "apps" and "media" capabilities are not what you are interested in. I still highly recommend the traditional Kindle especially the new Kindle Paperwhite versions that offer a beautiful and easy to read contrast between the text and white background with 62% more pixels for greater clarity. This new version features an intuitive touch screen interface and even offers a backlight to allow for reading in the dark...all while still providing 8 weeks of battery life! There is a Wi-Fi version available for as little as $119. And a free 3G cellular version of the Kindle Paperwhite 3G for $179. The main reason these eReaders are still a viable option is that are great for reading in the sunlight, on the beach and poolside. Color tablets still have challenges in a sunny environment. The Kindle library of books is over a 1,000,000 titles with 180,000 of them exclusive to Amazon and the Kindle! And if you gift recipient in need of some help keeping themselves organized. 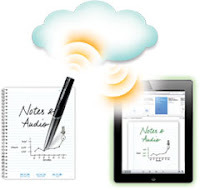 Perhaps the latest Livescribe Sky WiFi Smartpen ($170) can help. I have regularly mentioned the Livescribe and its ability to jot down notes and the ability to save a copy on your computer or sync with online note solutions like Evernote. The new Sky version introduces Wi-Fi connectivity to your smartpen. This way your notes can make the leap to Evernote without having to plug into your computer first! I love my Livescribe and moving it to Wi-Fi is a nice addition. In the realm of mobile audio, I have regularly mentioned the Jambox by Jawbone. 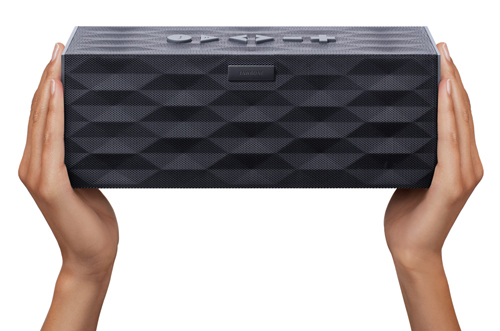 Well their new version called BIG Jambox ($299) is just that...a bigger version. This Bluetooth speaker is portable, runs on rechargeable batteries that provides 15 hours of music but delivers quality sound that will fill a room. In comparing the BIG Jambox version some of the other options available in this category, I liked the overall fidelity of the sound for a portable and completely wireless solution and the overall quality of the product. With an integrated microphone, you can also use it as a portable speakerphone! Love it. 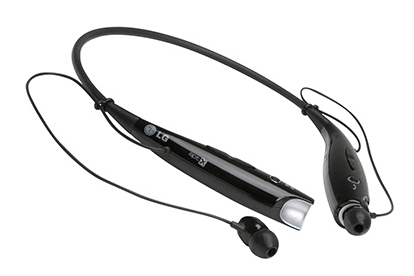 For those on your list that love music but are not good at sharing...I previously recommended the original LG Electronic Bluetooth headset. There is now a substantially improved version called the LG Tone+ HBS-730 ($50'ish) that introduces substantial improvement in the low-end of the audio range providing a richer bass. While audiophiles still need to avoid any of the Bluetooth headphone offerings. I find that being untethered from my iPod by a cable is quite liberating. These headphones do well during anything but the most rigorous workouts. And for those audiophiles, we are definitely back to having a cord but I would recommend either the Bowers & Wilkens C5 In-Ear ($179) or the Bowers & Wilkens P5 Mobile HiFi ($349). 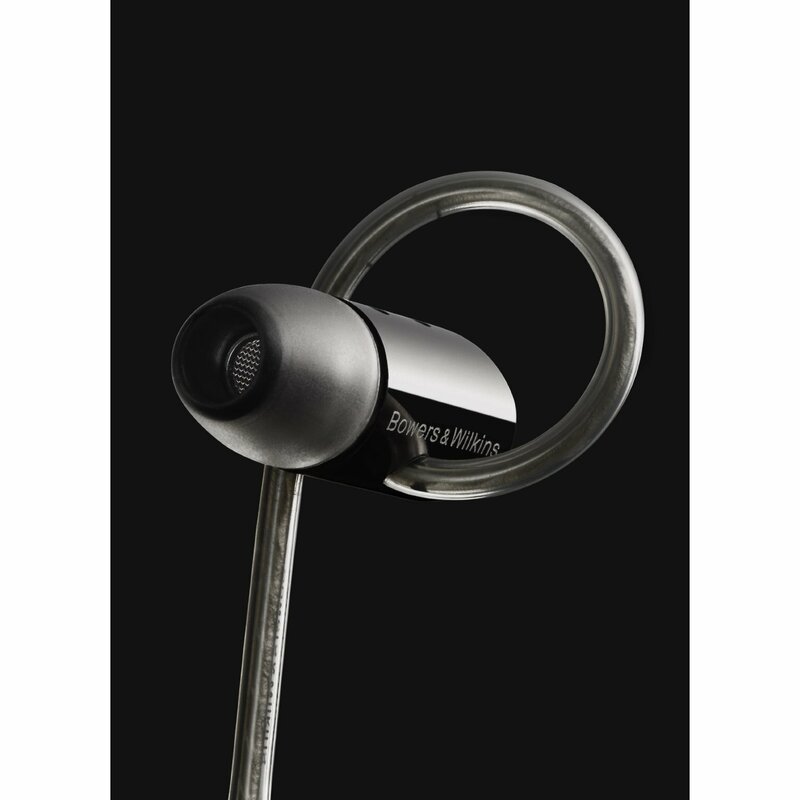 The C5 In-Ear has an Apple compatible cable, in-line microphone and controls for your Apple product. You will have a range of fitted ear pieces to help with the noise-isolation benefits of an in-ear product. So far I haven't found another in-ear product I would recommend over these. 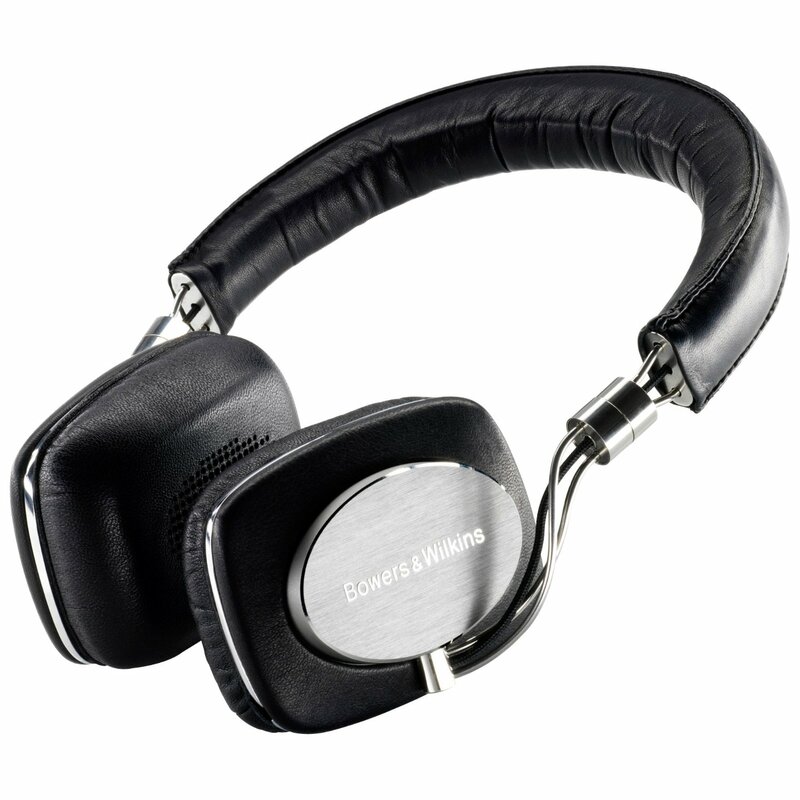 Taking it up a notch, the P5's over-the-ear style of headphone affords an even finer audio experience. The best for the money I could find. You can really appreciate the difference when you put these on. While cameras warrant their own guide for the holidays, I will highlight some that are definitely worth you checking out. Best point-n-shoot for under $200: Canon Powershot ELPH 110 HS ($179) is a snazzy little camera that shots attractive 16.1 megapixel photos and 1080p high-definition video. The camera has a good sized 3-inch LCD display and features a solid 24mm wide-angle to 5x zoom lens. A lot of camera in this price range and available in 6 colors. Best point-n-shoot for "a little bit more money": The Canon PowerShot SX260 HS ($245'ish) brings your subject up really close in a very small/compact package. 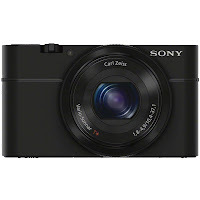 This camera magically includes a powerful 20x zoom len, 1080p full-HD video capability and a host of photo features in a small...still pocketable format. I love this zoom! 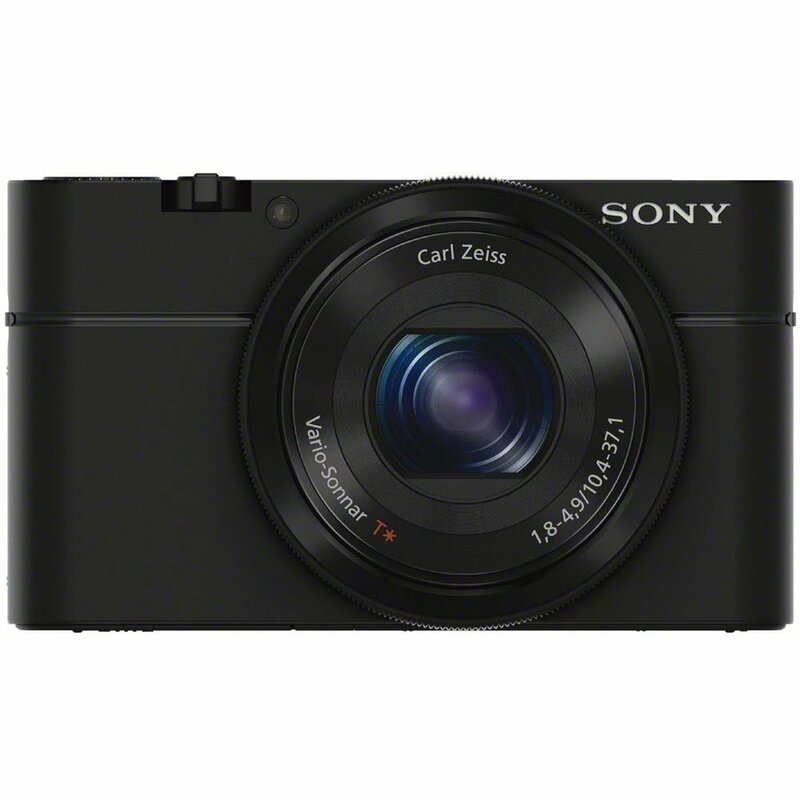 Best point-n-shoot when "money doesn't matter" or "you are looking to surprise me with a gift": Sony DSC-RX100 ($650) does what seems to achieve the impossible. In introduces a very large 1-inch photo sensor into a pocket camera. We are talking about a sensor that is several multiples in size over these other cameras but the camera itself can still squeeze its way into your pocket or purse. Not only does this camera offer a great 20 megapixel sensor, it also features a very fast and bright lens (f1.8) and a 3.6x zoom. Great low-light capabilities. It is definitely a very sold backup camera even for someone that regularly shoots a high quality Digital SLR camera. Very nice! 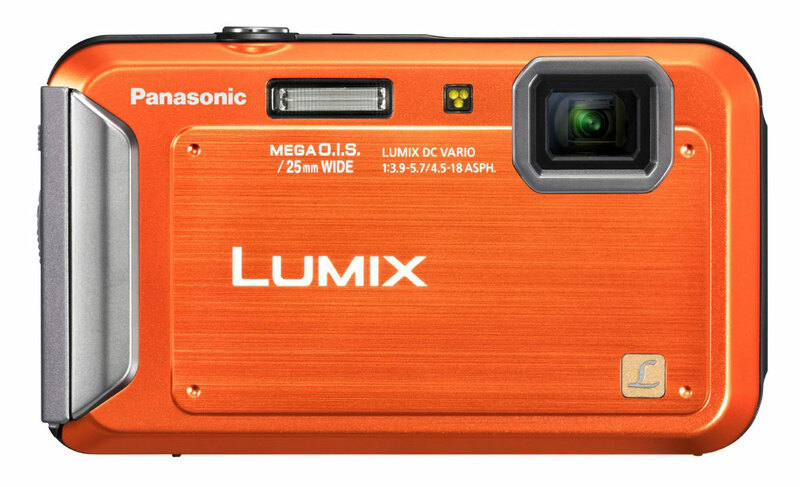 Best camera to trust with the kids: I really like the Panasonic ruggedized Lumix TS20 ($130) that provides a robust and reliable camera which is waterproof up to 16 feet. While the camera is pretty tough, it also shoots a great picture with its 16 mega-pixels, HD video, cool colors and is a joy to take to the pool, beach or while trekking through some rough terrain. And if you have a really adventuresome person on your list. What about the GoPro Hero2 ($199) with its wearable, mountable, waterproof to 197 feet, 170 degree wide angle lens, 30 frames per second 1080p or 60 frames per second 720p video and 11 mega-pixel photos to capture all their action. What a compact package with a range on configuration peripherals to anchor this camera to your bike, board, helmet or just about anywhere you want! And if you got a golfer in your life and they are looking for some new gear, I am digging the TaylorMade RocketBallz Driver ($229-249), Fairway Wood ($179'ish) and Rescue Hybrids ($159'ish). These clubs are impressive and good for starter to semi-pros. 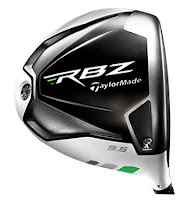 I really love the Rescue Hybrids that provide the greater impact/control of a Fairway Wood with the loft of irons. So all in all I hope you found something here to kickstart your holiday shopping or fuel to start compiling your own wish list! :-) And I will be putting together my Holiday Videogame highlights in the coming weeks. The 2012 - What not to buy this holiday season!